The Fishers Police Department has created a new service for seniors living in the Fishers community that is a telephone reassurance program called the "Morning Call Network" This program provides a unique service to those senior citizens who live alone, are disabled, or homebound. It is a telephone system designed to provide senior citizens with a daily telephone call. This telephone call lets them know that someone is checking on them and that someone cares. 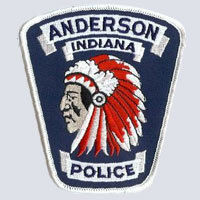 The mission of the Anderson Police Department is to maintain social order within the community and to provide a safe social environment for the community with carefully prescribed ethical and constitutional restrictions. The department protects the right of all persons within its jurisdiction to be free from criminal attack, to be secure in their possessions, and to live in peace. The department serves the people of the City of Anderson by performing the law enforcement function, and it is to these people that the department is ultimately responsible. 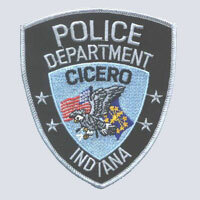 The Cicero Police Department is an advocate of "community policing." Community policing is designed to help keep citizens informed by having a cordial, visible presence in the community and demonstrating both courage and compassion. It means giving equal attention to both the authority and the responsibility that is given the police. 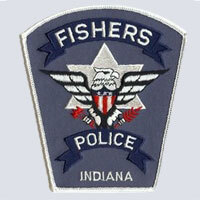 The Berne Police Department, is located in North East Indiana, just South of Fort Wayne. Berne is a small city in Adams County, with a population of about 4500. The Berne Police Department is a Full Time department. It is staffed with 7 full time Officers, 5 Reserve Officers and a full time Secretary.